We ran the Middle Fork Smith River, here's us scouting some rapids from the bank. 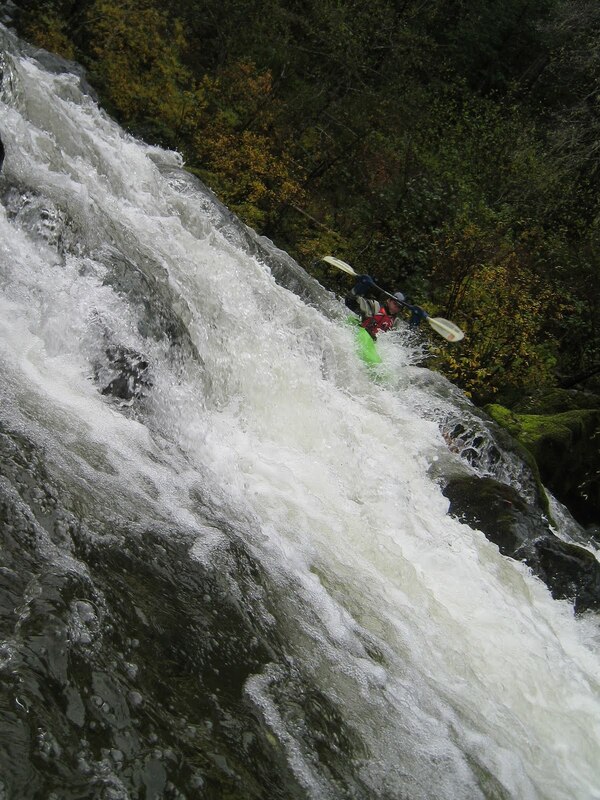 There's me going down it, hard to see whats going on, I'm trying not to bang my paddle on all the rocks! Later on we came to a class IV section, we noticed some head to body size rocks sliding down the slope. Before we could discuss it we were in the rapid and a SUV sized boulder tumbled down the slope, bounced and landed in the middle of the river, right where we were headed. Ten seconds different and we'd been dead, no question. I scrambled for the bank and chipper got himself stuck on a rock. This was a near miss. We camped by the river and I heard more slides in the night.